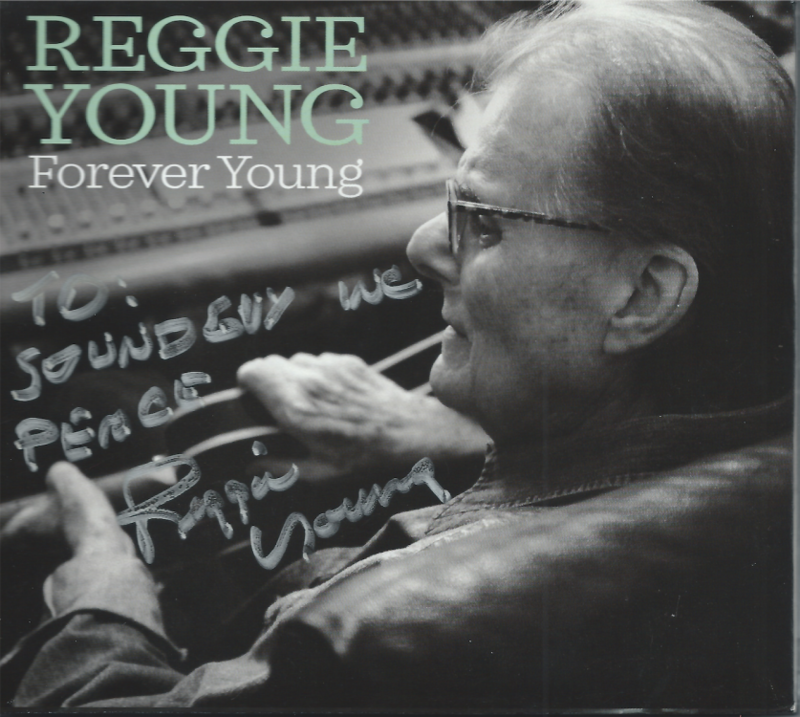 Reggie Young's first hit record was Smokey Part 2 by the Bill Black Combo. The BBC were the Beatles choice of opening act on their first US Tour. Reggie played on some of my most favored records, the ones that got me through high school. I got to work with him often in my previous life and he was a genuine as nice a person as any hero of mine might choose to be. Session guitar players would argue over who stole Reggie's licks first. We were recording with just local people but one of the things we did was an instrumental and I was playing guitar. I tuned my guitar down 2 steps and then played it with a pencil ... like tapping out a rhythm, it was a shuffle (simulating the sound with his voice and slapping his leg in time) you know but not using a pick, and we did this little instrumental called, "Smokey" Pt 1 & Pt 2, and anyway once a month the guy from London Records would come down to hear what we had done and he heard that, we didn't really think anything about it, and he said, "Wow, what is that?!" Well anyway they released it on London Records and it was a Top 10 instrumental. You know instrumentals sold back then and so I toured with Bill Black. In the middle of this I got drafted and had to go to Ethiopia for almost two years and got out, went back with Bill and worked at High Studio. At the time, Young says, “The union had a trade agreement with England and we were the trade band for The Beatles. In Europe, we backed up The Ronettes, who had the hit, ‘Be My Baby.’ Lulu was there, and The Kinks.” The tour yielded great music, long jam sessions, and new musical partnerships. Young became good friends with George Harrison. On the second leg of the tour, he met a 20-something Eric Clapton (then a member of the Yardbirds). “He was a blues player and I was too, so we hit it off pretty good. We learned from each other,” Young says. Thanks for posting, this guy was indeed a legend!! There was a memorial service for Reggie in Nashville today and I imagine it was pretty well attended. This song featuring Reggie was played. Some days I miss living in Music City. The song is called Honey Bun. 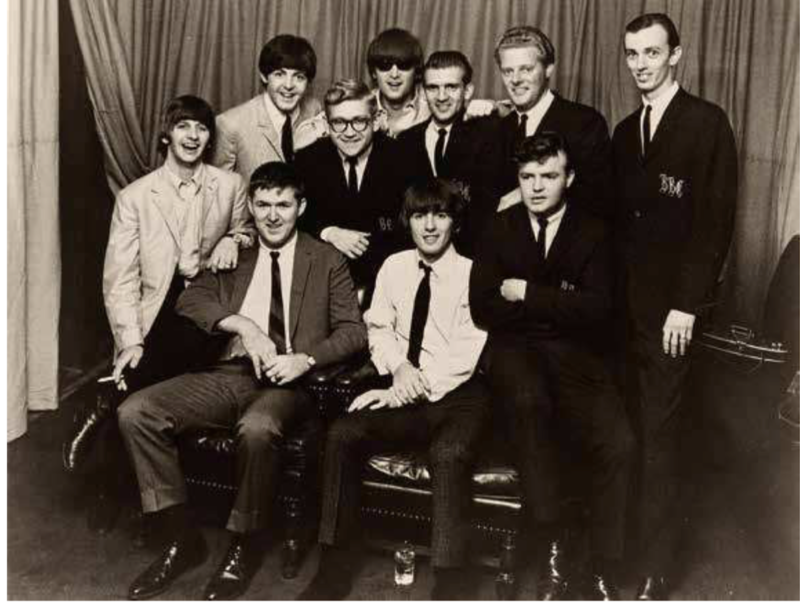 Group photo from Beatles 1st US tour where the Bill Black Combo was the opening act - Reggie is back row, second from the right.